Kidney transplantation involves placing a healthy kidney from another person into your body. This one kidney takes over the work of your two failed kidneys. Before transplantation can be considered, your physicians need to determine if you are healthy enough to undergo the surgery. Cancer or other significant diseases might make transplantation unlikely to succeed. During the transplant, the surgeon places the new kidney inside your lower abdomen and connects the artery and vein of the new kidney to your artery and vein. Your blood flows through the new kidney, which makes urine and regulates your bodily content of many substances, just as your own kidneys did when they were healthy. Often the new kidney will start making urine as soon as blood starts flowing through it, but sometimes as long as a few days may pass before it starts working. Unless they are causing infection or high blood pressure, your own kidneys are left in place. Most people remain in the hospital just a few days after a kidney transplant. Your body's immune system is designed to keep you healthy by sensing foreign invaders and rejecting them. After your surgery, your immune system will sense that your new kidney is foreign. 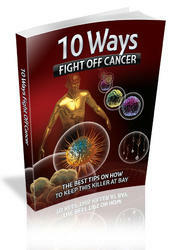 To keep your body from rejecting it, you'll have to take drugs that turn off or suppress your immune response. These drugs have a large list of unfortunate side effects, including a slight risk of developing cancer. 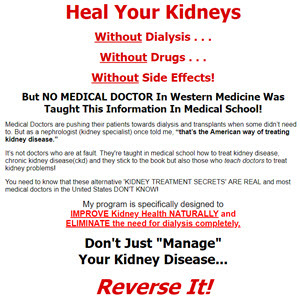 Even if you do everything you're supposed to do, your body still may reject the new kidney and you may need to go back on dialysis. That said, odds are good for transplants. The one-year survival of transplanted kidneys has improved dramatically: It is now greater than 90 percent, mainly because of better drugs used to suppress rejection. Patient deaths in the first year after transplantation are uncommon and are due to the usual causes seen in people without kidney transplants. However, the longer you wait on dialysis for a transplant, the greater the chance of the transplant failing. 1. There is the is the possibility that waiting too long may impair the health of the recipient to the point that the risk of complications increases. 2. Transplantation entails the use of immunosuppressive drugs, which have a very small but distinct risk of causing malignancy (particularly lymphomas). 3. The establishment of a satisfactory vascular or peritoneal access for the dialysis procedure makes starting dialysis easier. None of these reasons, however, is compelling. They must be weighed against the risk of dialysis itself (which entails a greater than 20 percent annual mortality), as well as the possibility that once a patient is started on dialysis, the search for a donor loses some of its urgency. Medicare pays most of the costs of transplantation (to both recipient and donor). Medicare recoups the initially higher costs of transplantation within three years, because of the high cost of dialysis.